I wrote post sometime ago about leadership. A lot as happened since then but I never thought that I would be put into a situation where I had to lead a crew that is still grieving the loss of one of their own. One of my employees was gunned down at her home along with her boyfriend. Things like this don’t happen in a small town. In small towns, we’re supposed to have white picket fences, be able to leave doors unlocked, and have a sense of security when our kids are outside playing knowing that our own neighborhood watch will be keeping things safe… At least the way it was when I was a kid. However, even though this place soon to put me back to a time that once existed, the illusion was rapidly shattered on August 22, 2016. When the shots rang out, they didn’t just take peoples lives, they stripped this town of it sense of security. No one feels safe anymore. And even worse, it came out that the person who did it might not have been able to carry this out had he received the help that was necessary. It could have been one of us. He came to the store looking for her but she wasn’t there. As it turned out for whatever reason, a family member of his gave him his guns. He was already known to be mentally ill, so why would anyone with any common sense let him near a gun? Please don’t take this the wrong way people… I am not a gun control freak. I don’t mind people owning guns, but I do have a problem when someone knowingly helps someone who is mentally ill obtain one. To make matters even worse, the shooter was obsessed with my employee. That person knew this shooter was a former veteran whose family was trying to get him mental help at the time. You know, we have a dram law that is designed to protect us from people who serve drinks the people who are already drunk… Why would someone known to have mental issues that are documented be allowed to keep their guns once it is? There is no one person to blame in this. However I think the VA should be held accountable being that he was a veteran and needed help. The sad thing is, it took three people dying to get anyone to see that. Do you think the VA is saying, “Gee maybe we should’ve listened?” I doubt it. I seriously doubt it. Rant over. Some Days I Want to See Them All Fired! The people of this country of suffer because both sides play the people against one another just like one parent pits children against the other parent in a divorce. It’s pathetic, disgusting and needs to stop! First, there is Donald Trump who is wanting to register every Muslim which is no different than the mayor of Houston wanting every preacher to register their sermons with her. We got these nuts in both parties and it’s time to address it. We need to stop letting them divide us against each other. I have come to accept that he’s not coming back. He disappeared over a week ago from inside Brian’s fenced yard. The pound doesn’t have him. No one has seen him. He’s been a part of our lives for almost 16 years and we miss him terribly. I don’t see how he could be alive unless someone took him in, but that is wishful thinking. I choose to grieve his loss. I see no hope of him returning. 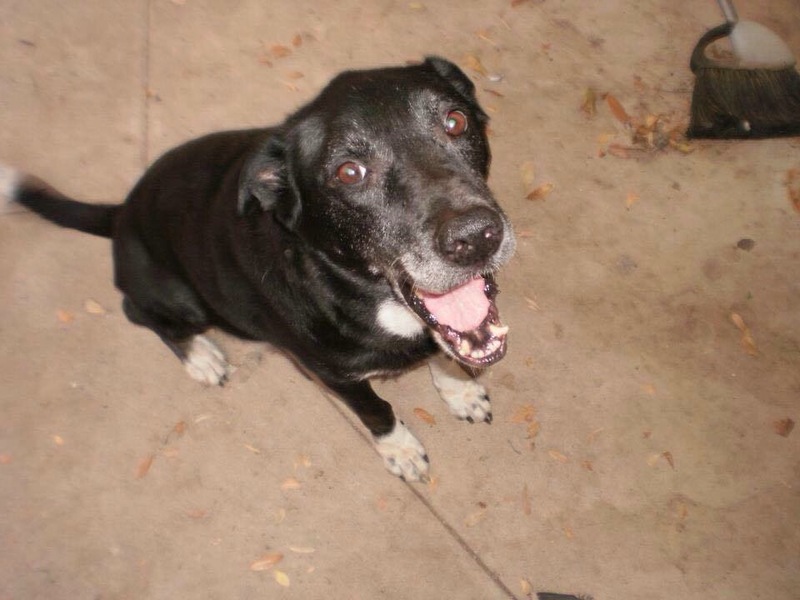 RIP Buddy (1999-2015)…We love you. Well, I Think I’m Back! I’ll be back to posting soon!